Well, from the last Bluepost from November 2nd it appears warlocks will be getting some more changes. More changes again? Didn’t we just go through a bunch of changes? Oh, well what can you do? We can’t always be OP right? Gah! Did I just say that? I mean I know we always look good and other players are always QQ’ing about us due to jealousy, but honestly, isn’t all the ‘lock hate getting old? Okay, so they increased the time a DG stays up, and they took away the despawn problem if you moved too far out of range. I’m happy for both of those changes. Yep, not bad at all until you read that it can’t be used in a capital city! Whaaa? Why this change occurred I have no idea. It was fun to toss these up and let friends zig and zag around. Maybe they thought it was too OP for a raid on an enemy city? Maybe mages QQ’d because their portals didn’t go from the Bank to the AH? Trust me, I never saw one warlock use a Demonic Gateway to block a quest giver or a mailbox so I can’t fathom why this was such a big deal? If you have an opinion on it, I’d love to hear your conspiracy theories on the subject because I for one just don’t have a clue. /em yawns – Not much to say on this one other than “Meh”. Don’t get me wrong, using FEAR and BANSIH to CC mobs is great. It’s just not exciting when you toss on another “Me-too” type spell. I’m glad we can CC more, however this should’ve just been a given to start. 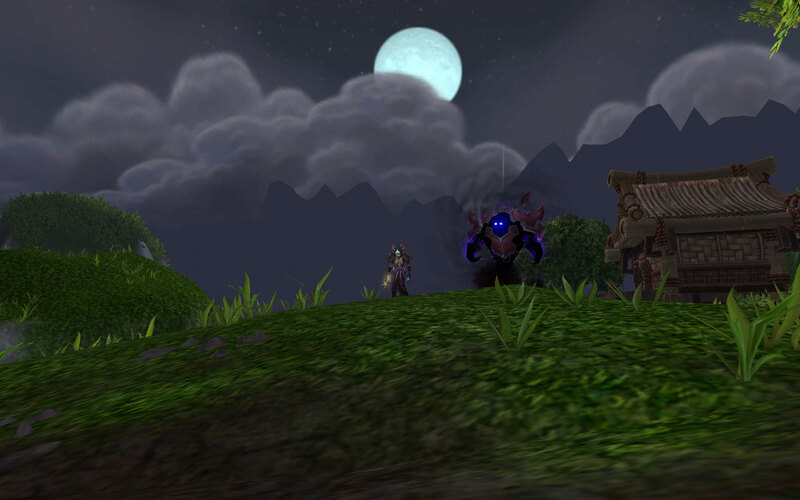 IMHO we should have full CC opportunity against any class or mob at our evil, overpowered disposal…don’t you agree? Rain of Fire (RoF) got some reworking done for a total of four changes actually! RoF’s damage over time will now hit every 1 second, down from 2 seconds. The damage animation for the DoT effect will no longer always display. So if we look at RoF as a whole spell – it doesn’t stun any longer, but it still does damage. It has a change to generate Burning Embers from Aftermath and a target doesn’t need to have IMMOLATE present to generate them as well. The damage tick from RoF will now hit every 1 second instead of 2 seconds. While the 1 sec damage tick is nice, I still liked the stun idea. However, methinks this change once again is coming more from the PvP crybabies side. Will this increase RoF’s damage now that the stun has been removed? IDK the answer to that one yet, because I haven’t seen any numbers. We can only hope! Combine RoF with Mannorth’s Fury for PvP and it might be a nice boon for Destro in PvP. Woot! Something I’m sure our Destro brethren will be glad to see. I don’t want to say generating burning embers is a pain, but it does feel like grinding Golden Lotus rep. It feels like a painful slog. Hopefully, this will help. 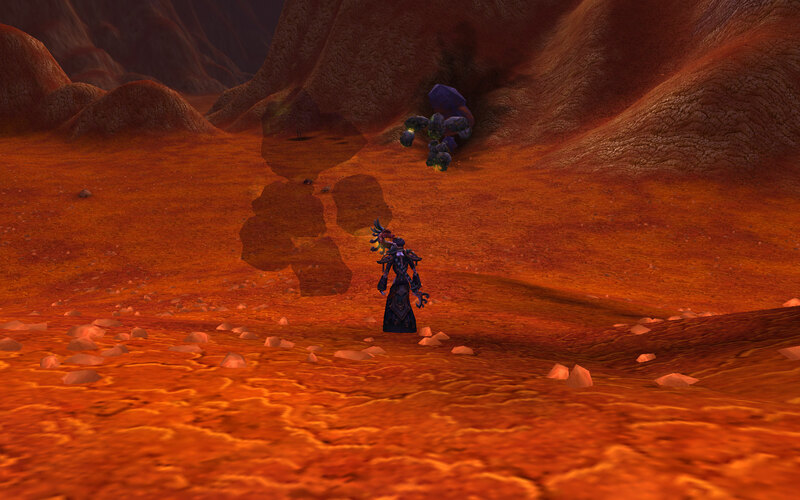 This is the same area with a different elemental being hit with the Banish spell that turns it red… Oh boy! Big difference right? In the meantime I still have floaty pink shards on my head…grrrr! Great, they take something away and they give it back with a glyph to waste it on….grrrrr! Yes, it will have it’s uses I suppose. However, I’m of the opinion that since the use is so limited is it really worth using a glyph for it? Really? I dunno, I could be wrong on this one….we shall see. One of the things I didn’t like about Demonology was feeling like I had to constantly move from range to melee and back again to feel effective when I was in Beta. I’m not currently running Demonology, so I can’t say if this a great thing or not. This change makes me think upcoming raid fights might require more movement and on an already taxing movement spec that might be why they are making this change. However, if you’re running as Demo I’d love to hear your take on it. I loved the idea of this spell. It’s like a warlock’s own version to a Shaman’s Thunderstorm spell. Since, I play a shaman as well, I have to admit that I really like the use of it. However, even on Twitter I saw people QQ’ing about it being OP. It was probably only a 2 to 3 second stun and it was only a 10 yard knockback. So by the time you take out the travel distance of the enemy from the knockback it would have probably came out to a 1-2 second stun. OP or not, it didn’t make it in :( It’s a shame because it would have been fun. Another strong guess for the Glyph of Supernova not making the cut would be due to PvP. I could easily see a Destro lock, loading up on Burning Embers and then sacrificing himself for the team by running as a “Destro Bomb” on a flag carrier, a node or a control point where heavy battle was taking place. It sounds gruesome when you think about it, warlocks turning into suicide bombers to aid their team /em shudders – It’s not a pleasant thought when you think about it that way, and it would’ve put a whole new twist on the old saying, “Taking one for the team”. I am sad to hear that Destro’s new spell isn’t happening, but I am THRILLED with the RoF and KC changes. Getting embers does feel like it takes forever. I’ve been using RoF every chance I get just for the added boost to ember generation. As a former long time Aff player to you: How long until you were comfortable with the new aff rotation? I switched to Destro because I couldn’t get used to the new Aff rotation. Now I’m being asked to go back to Aff because it just kills in damage. Who knows if they’ll add the Cataclysm spell back or not. Blizzard can still make changes and I expect they will after having learned my lesson from Beta. The new Affliction rotation wasn’t too tough for me to get comfortable with only because I had run that spec so much in the Beta. 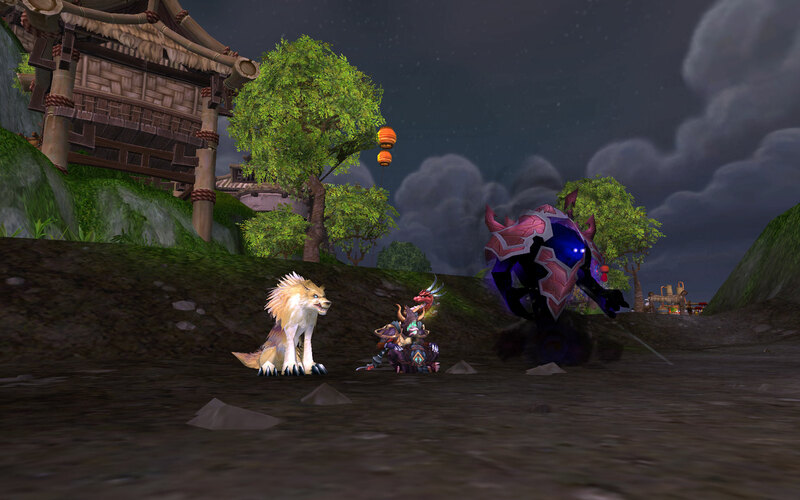 Granted, there were frequent changes to Affliction during the beta, but most of the key playstyle was already there. Example: Pet Attack / Curse / DoTs / Filler / and then refresh as needed until you’d Drain Soul. I’ve come to find that for all of my toons a certain spec and playstyle often stand-out for me and how I like to play that class. If Destro is your thing, then I say stick with it and burn’em up! I’m sorry to hear you’re being asked to switch into a spec you don’t want to play. As far as Afflictionists killing it, well that’s open to interpretation. If you’re a decent player, and if you can stay out of stuff, and you can still crank out some decent dps I don’t know why anyone should care. I’m curious to know though, what were you doing for your rotation in Affliction and how are you liking Desto? Do you like it better? I did a post not too long ago where I rambled a bit about my new found love of Destro and how I Fayle at it. Funny about the Sac vs Sup. I was running Sup in our raids before I realized I was doing _everything_ wrong with Destro (long story short, I was gearing/playing like I was Aff) and when I switched to Sac I did manage to bring some more damage. Plus using sac on my VW gives me a 2 min survivability cooldown that was seriously needed for phase 3 Feng. 600k health every 2 mins? Why yes! Oh and um, my damage got better. BUT that could just be because I got smart and started reforging for mastery and crit instead of haste. I still love me the 600k health though . . . Honestly it has been so long since I tried the Aff rotation (hush I know it has only been a month) that I can’t remember what order I had my rotation down. I took Cynwise’s advice and cleared my bars and started fresh, but even then it just wasn’t helping. I have a feeling it is going to take a lot of work to get back into the Aff grove for me. Good advice really. I found supremacy didn’t work for my destro but then I specialize in demonology most. Each grimoire has its uses, especially end game, but pre end game more often than not supremacy benefits demonology the most and sac will be better for dungeon running if destro or afflic-running sacrifice as demonology is a massive dps loss due to mastery increasing all your dmg and your pet’s by a large chunk- so it really depends on the player and what he or she likes to run with. When I was testing the new rotation on beta I found that I had no shards, ever. Even on live I would hit haunt the moment I saw it come up. Old habits are hard to break. I’ve used a ton of DoT timers over the years and now I just use the regular UI Target Window and my eyeballs. I’m going back to basics with my addons lately and trying to keep it simple. I haven’t used Raven, but I’ve heard good things. Forte Exorcist and DotTimer were always some of my favs when I used them. I have never done the WeakAuras so I can’t offer an opinion there. Welcome back to Affliction! Light’em up with DoTs and then poke them with a dagger! Muahahaha! Your posts always make me want to make a lock! Well tyvm! That makes me feel good to hear because it was the reason I started my blog :) You do know that I feel the same way about your site when it comes to taking pictures, right? I don’t have your talent in taking an interesting shot, nor am I any good at framing things like you do :P I’ll get there maybe someday. I hope your well! Good luck on the picture campaign you’re taking part in. I look forward to seeing them! I often find it strange how most of our changes are due to Pvpers QQing about everything. I still remember the amazing use of demonic sacrifice from BC, and loving it back as grim of sac with more utility than before. As destro I can’t help but find that the stun effect should be given to conflagrate rather than RoF, but then I enjoy droppin it after fire and brimstoning immolate, massive aoe and ember generation. I used necrosis-if it still works- for dot timers, but since most times I run Demonology I am not concerned. Do wish they would not remove the melee range attack from Metamorph/Dark Apotheosis state, it was damnably useful as just an extra bit of damage. Every lil bit counts-especially with a heavy int proc, so making us demo locks move more is a low blow. Q-Q crybabies so hope and pray for the cataclysm spell. Well, there’s no direct finger pointing straight at PvP for the changes, but we can guess from previous…ahem…”reasons or balance issues” that ‘locks have been nerfed. /em coughs *pvp* coughs more. I feel ya on the old Sacrifice :( I don’t think Fel flame will be used for anything other than what it is currently – a DoT extender for movement, or a good shaman totem burner, and one-shot critter killer. If Blizzard takes the view that casting on the move will become a constant I could see Fel Flame getting some love. However, I don’t think Blizzard will make casting on the move a reality anytime soon. I could be wrong, but that type of game play would make encounters difficult to coordinate if all of the casters could kite. Omg, melee classes would be storming the gates of the Blizzard with pitchforks and torches if we ever got casting on the move as a permanent option. Thanks for stopping by and I appreciate the comments! Rock out the Demo and make us proud my friend! Well in 5.1 they will be changing Kil’jaeden’s Cunning a bit. We will no longer have the cast time penalty, but our movement debuff will be increased to 15% and will stack 2xs up to a 30% movement debuff. If you need to kite, hit the mob with Curse of Exaustion and now your target is moving at the same speed as you :) I can live with that! I’d love to hear what the PvP folks think about the change when it comes into play. for me, i have found that i love the affliction spec….and while i use Sac, sup is always on my mind….just the thought of having those pretty new demons makes me happy. as for destro, im excited to see the new changes, despite the QQ ing of the pvp’ers (my thoughts are simple on this….get better :P ) my philosophy for us locks is simple, a true warlock doesn’t bend to the will of the creators…. he bends the creators will to his bidding. /yell Burn Baby Burn….its a Disco Inferno! macro that i made use of in Cata when i was a destro God lmao…..
Omg, you sound like me! lol! I agree with everything you said and I think I’m going to have to steal…er…borrow your Disco Inferno macro. Nice! Life would be so much easier and so much more simple if all three specs had reforgings that matched. *Sighs* You’d think Blizz would change that to make life easier for some classes, but alas I’m sure they want it for a gold sink sadly. Gah! Now, I have the Disco Inferno song raging in mah’ brain and I kinda like it! Nice advice and I agree. For some of the newer players or someone new to the DoT style of Afflition it takes some time to adjust to the playstyle. In regards to using SB: Soul Swap – I think it depends on the situation. For longer fights like bosses – then taking a few seconds and putting up individual DoTs will allow you to keep an extra shard for utility or more bursts if Nightfall doesn’t proc. Thanks for stopping by! Hey guys i’m thinking of enrolling a Warlock char, I’ve played on and off WoW for like 2-3 years now i get bored of using the same old rotations and such are Warlocks a fun class to play over all and if i could get some reasons why that would be awesome, thanks! Hrm, I could write an entire post series about playing what you love. For me it would either be a warlock, a shaman or a hunter. For you? Well, that really is up to you my friend. 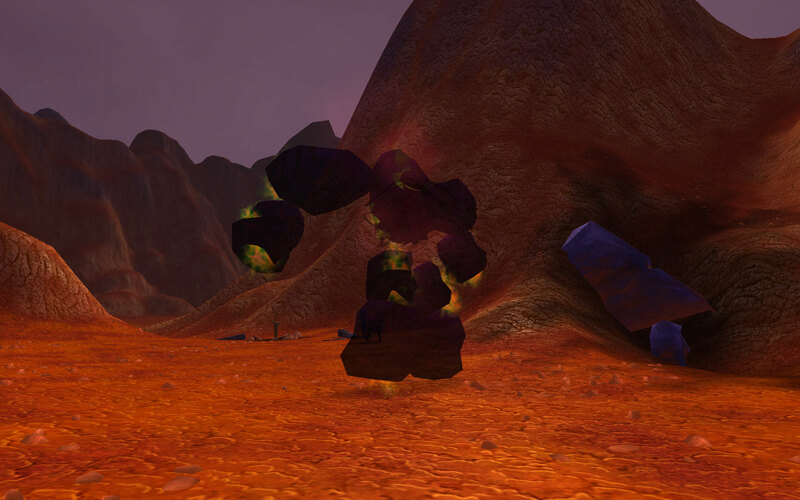 Every class and spec has a rotation or a priority list of spells. There’s no way around that fact other than rolling a different class and trying something new. Some people love melee, some love range, some love tanking and some people love healing. It’s really all about what you like to play and what keeps you engaged. If you’re not having fun on a particular toon maybe you should try something else? I’m not sure if you have a lot of alts, but I’d say role a few classes you’d be interested in playing. Level them to 20ish and see if you’re having fun. I think I’ve personally deleted 2 or three Paladin’s that were near level 50 along with a druid or two. For some reason those classes never appealed to me no matter how hard I tried. I have total respect for those classes and their players, but I know that I’m not good at melee because I don’t enjoy it. I feel the same way for tanking. You on the other hand might love all three of them. As far as warlocks are concerned just give them a try and see. I know some older warlocks who love the new changes to our class. I know some who don’t like the changes. 1. You might wear cloth, but you’re tough – It takes a small army to bring you and your demon down. I gotta give a sage nod to Amil here. He wrote it true, though to be honest I actually learned to tank THANKS to warlock rotations…weird I know, but hey different times different player. If you wish to be mean though, warlock is the only cloth wearing class that can tank in any situation if demonology. If say tank got squished cause he lagged or just some misshap or tank was fail-druids and dks tend to do that when I’m bein a lock often enough- then pop Dark Apotheosis and watch the healer go O_O <3 on you. Trust me on this one, even did it on a nasty melee heavy boss, warlock is a cloth tank with more armor than plate wearers at end game. Yea i agree with the above both Amij and Tyraeon. I love surpriseing rogues in pvp with they try to 1v1 me and i go Lock-Tank on them and just watch my Wraithguard tear away all their half. Plus locks are fun and its rare to ever see ppl try to 1v1 locks. Its happens but that’s why ppl qq and try to get locks nerf becuz they think we are over powered and as cloth shouldn’t be to hard to kill but if you look at ever other class such as pally or priest who hav spells with short cds that make them immune or instant stuns nd silences such as rogues and mages and warriors as well as sham you can see why they made locks how we are. Locks helped me sort of understand why hunters have certain abilities. Alot of our cc other than fear and shadowfury comes from our pets. My theory is if you qq about other classes being overpowered without learning to play them then your judgement is as good as a new players. Thanks for stopping by my blog and for adding to the comments. I agree with you and other players complaining about other classes being OP. I think it’s a little bit of truth for both sides of that argument. First, I think some players complain about other classes because of envy or jealousy especially when you add the PvP environment such as on a PvP server. The flipside to OP class arguments is that sometimes the complaints are legitimate. Can you say launch of the DK class? DKs were horribly OP when they were first launched. Even the players who ran on DKs complained that if they went to any other class they felt squishy. Ha!